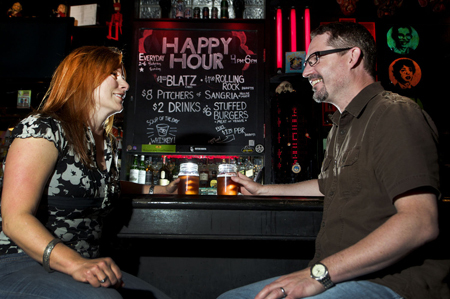 So a couple walks into a bar…and they buy it. Meet Michele Sellers. Except Michele Sellers and her husband Mark actually did it. 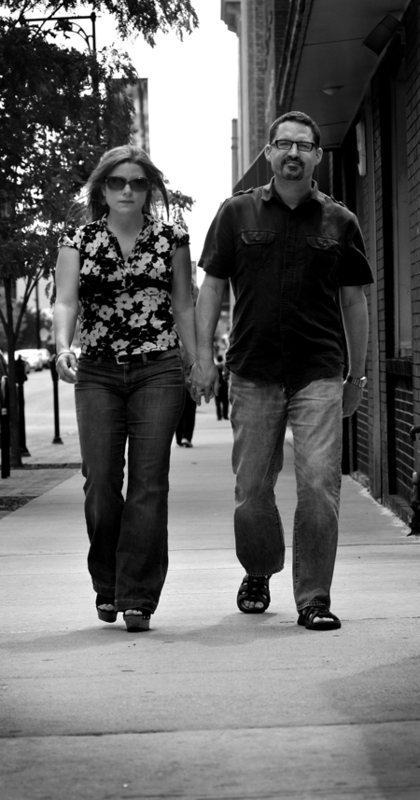 Under Barfly Ventures LLC, Michele and her husband Mark Sellers own several downtown Grand Rapids hotspots. The pair started with Hopcat, a thriving bar on the corner of Ionia and Weston in downtown Grand Rapids. 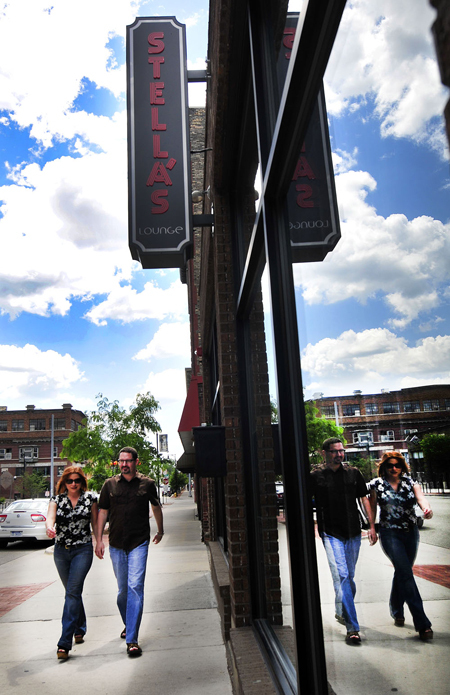 They also own Stella’s Lounge and the Viceroy on Commerce and McFadden’s Saloon — also on Ionia. Recently, the Sellers announced plans to re-open the historic Grand Rapids Brewing Company on the corner of Ionia and Fulton. All beers will be brewed using organic grains and ingredients. This will make GRBC Michigan’s only all-organic brewery. A self-described “beer geek,” Michele Sellers professed her enthusiasm for a re-energizing a beer brand that began in 1893. Yet Sellers admitted that prior to 2006, she never had any serious plans to own even one bar. Rather, her career began in Berkley, a suburb of Detroit near Royal Oak. During her time at the record store, Sellers started brewing beer with her friends in her tiny kitchen in Berkley. It was at this point, Sellers became what she described as a ‘beer geek’. Sellers has since compared notes with her husband. While Michele was experimenting with lambics in college, Mark was still drinking Meister Brau in cans. The couple married at the Round Barn Winery in Baroda, Michigan in 2006. On a post-honeymoon trip, they both had an eye opening experience. She described that visit as a “religious conversion” for both of them. It was on that trip that the Sellers came to realize that Michigan brewers are “…tightly knit and supportive of each other.” Far from being a competitively cutthroat industry, brewers seem to respect and enjoy each other’s accomplishments. Her husband Mark, however, had a different reaction. “He said, ‘No, let’s buy it’,” she said. Michele thought he was crazy. Michele needed to be convinced. “I’ve learned now not to say ‘I think that’s a bad idea,’” she said. Instead, Michele said she listens and takes a few days to get back to Mark when he wants to begin a new venture. She needs a little time “to think about pitfalls” before committing to anything. Mark Sellers respects his wife’s judgment. Like the three branches of government, there are also three decision makers at the bars: Garry Boyd, Mark, and Michele. Michele describes Boyd as the third crucial point in the decision-making triangle. Aside from providing a thoughtful voice, one of Michele’s favorite roles is that of social organizer: she loves hosting events and parties. Embracing new and exciting ideas with wild enthusiasm also appears to be a consistent theme in the both Sellers’ lives. “In an 18 month period, we got married, we moved to a different state, bought our first house, changed jobs, leased and renovated a bar, opened a bar, ripped out our kitchen, and got a dog,“ said Michele Sellers. After that whirlwind, Michele felt she had enough of tumultuous change. However, eclectic and electric variety appears to be a constant in the Sellers’ lives. It doesn’t seem that boredom is a new venture that Michele Sellers will risk any time soon. Kudos to Michele; love the article!